Use Filmora amazing video editor to express your creativity! Filmora for Mac is an all-in-one home video editing production software that has powerful functionality and a fully stacked feature set. Filmora is a solid app that gives you the features and styles that have been previously only available to professional film makers that have a certain level of experience and the expensive applications to match. Filmora for Mac has a simple drag and drop interface, which gives you the freedom to be artistic with the story that you want to create. 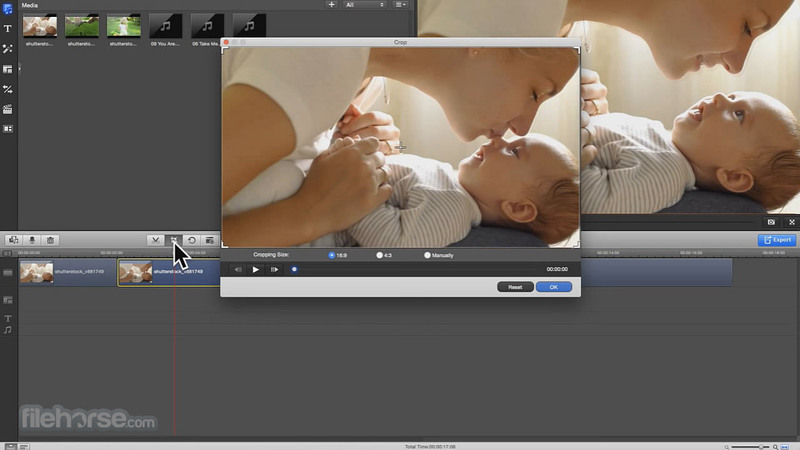 Wondershare Filmora is a great video editor for Mac! Add your favorite music dircectly into your movie to create the perfect atmosphere. Transform a movie into something spectacular with our handcrafted, overlays and filters. 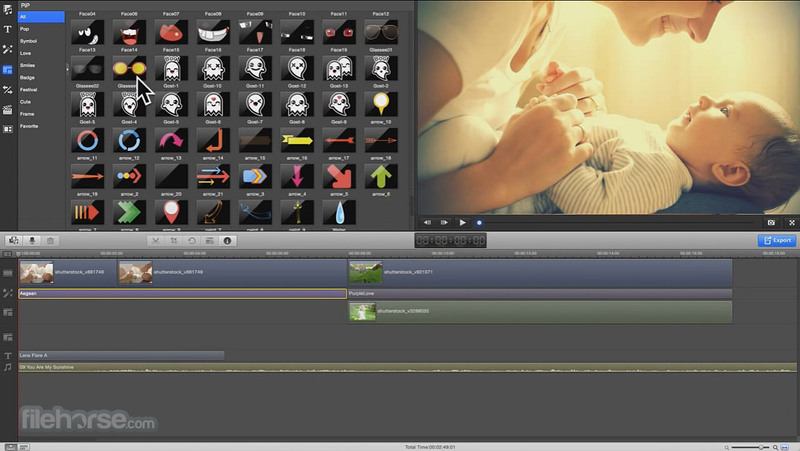 Take your video to the next level by adding impressive Still and Motion Graphics. 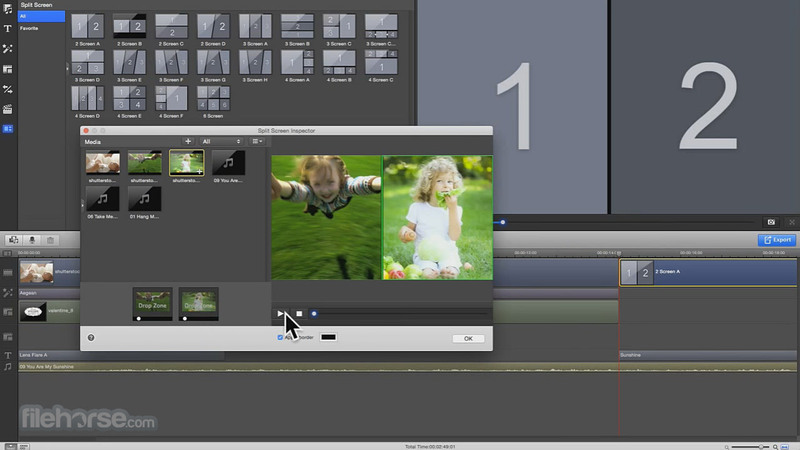 Precise control over both video and audio frame by frame. Control the pace of your clips, to create a beautifully sped up time-lapse or stunning slow-motion effect. Easily reverse your footage and get funny videos you have never imagined. Bring clarity to your video with High Definition support, for better close-ups so you can view every detail. Seamlessly combine multiple pictures and videos with easy-to-use transition effects, turning scattered moments into a meaningful story. 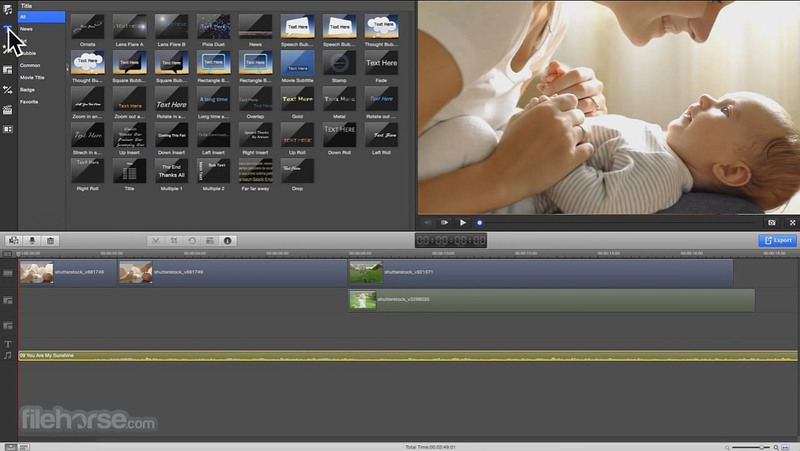 Wondershare Filmora is an amazing video editor for Mac! Remove background noise by easily separating, adjusting and applying the audio that best matches your movie. Import, edit, and export animated GIFs. 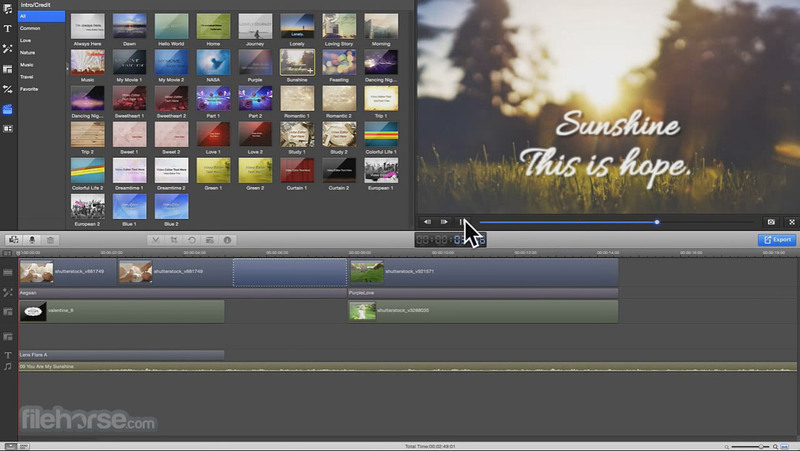 Audio editing tools that give you complete control over how your video sounds. Importing just got easier. Choose from a selection of sources including Facebook and Instagram. Note: Watermark on the output video in demo version.